The Livingstone Formulation is a means of refusing to engage with an accusation of antisemitism by responding to it with a counter-accusation that the accuser is crying wolf; that they are mobilizing Jewish victimhood in a bad faith effort to silence criticism of Israel. This way serious discussion of antisemitism is avoided. Read more here by following this link to an explanation and examples of the Livingstone Formulation. Shami Chakrabati should be commended for producing a report in record time on such a colossal subject as antisemitism and other forms of racism. There is some helpful stuff in there around sensitivity, holocaust metaphors and the abhorrent use of the term ‘zio’ and misuse of the term Zionism. Unfortunately whether it is the speed at which the report has been produced or whether there are other factors which are at play the report and its analysis and recommendations are somewhat flawed and leave the author and her team open to the allegation of superficiality or worse whitewash. 1. The opening line of the report states: the Labour Party is not overrun by antisemitism. This has been seized upon by those who wish to play down the significance of the problem. The second paragraph of the report refers to an ‘occasional toxic atmosphere’. All of this conveys the impression of the ‘few rotten apples in the barrel’ which of course is the classic apologism used by any institution under criticism for institutionalised attitudes. Whether the party has been ‘overrun’ is to set up a straw man. That the Labour Party has a serious problem sits somewhere between being overrun and an occasional toxic atmosphere. 2. Recent polling suggests that support for the Labour Party has fallen to 8% amongst Jews – a remarkably small amount. It had been sliding under Ed Miliband to some 20% but the process of alienation seems to have accelerated under Jeremy Corbyn. Some of this might be explained by his wider politics and the party’s dramatic shift to the hard left but perceived antipathy to the Jewish community and Israel is another. The leader’s failure to explain, account or if appropriate apologise for his associations with Paul Eisen (Holocaust denier), the Larouche cult, Stephen Sizer (9/11 conspiricist), Raed Salah (blood libeler), Hamas, Hezbollah and Press TV and more recently the leader’s dismissive attitude to complaints by his own MP Louise Ellman and peer Lord Levy are at the core of the problem. But none of this is addressed in the report. These issues identify a problem at the top of the party which suggests more than a few rotten apples. And this behaviour has been argued to have licenced some of the more egregious behaviour by the leaders supporters who are ascendant in the party but again none of this is discussed in the report. 3. The report commends the leadership for commissioning the inquiry. The inquiry was in fact announced as a consequence of extreme political pressure after numerous allegations had been made about antisemitism in the party and the leadership had become subject to ridicule for not taking the issue seriously, particularly following the incendiary comments by the leader’s long term political associate Ken Livingstone. None of this context is referenced. One comes back to the point that the former director of Liberty would never be so charitable if asked to do a similar exercise say in relation to a police force. 4. The inquiry was announced on Passover and on Friday night, with no consultation with the Jewish community as to terms of reference or the individuals who were appointed. No reference is made to the need to have sensitivity around religious calendars in the report. The terms of reference of course refer to antisemitism, and other forms of racism, including Islamophobia. This brings us back to the leadership and the well known inability of the leader to address antisemitism without mentioning ‘other forms of racism’ in the same breath. There may well be good practical reasons to address other forms of racism in this report – in particular in the procedural aspects but the report doesn’t address one fundamental charge made about left-antisemitism (save a cursory nod at it) that it doesn’t take it seriously. 5. This segues into the lack of any analysis of left-antisemitism – nothing about the socialism of fools, the Stalinist legacy of ‘anti-Zionism’, the baleful influence of classical antisemitism through the Muslim Brotherhood and affiliated movements and their impact on anti-imperialist politics and what is sometimes called campism, Likewise it doesn’t deal with the impact of the propaganda of the Iranian regime. Perhaps it would be too ambitious to cover these issues in the short time frame given to the process. But it seems that a lot of intellectual input by serious experts into the inquiry has been wasted. 6. The most alarming aspect of the report is the call for a moratorium on triggering new formal investigations on conduct arising prior to the report. Really? It is precisely the issues around the leader that remain unresolved and unaccounted for and are, perhaps with the exception of the interventions of Ken Livingstone, the biggest cause for anxiety in the Jewish community. Chakrabati asks for a moratorium on the retrospective trawling of members’ social media accounts and past comments. First this implies there has been ‘trawling’ in any organised sense by members of the party to expose antisemitism, whereas there is no evidence to suggest that it is true. More importantly the way it is put implies it is reprehensible to do so. This seems to be seeking to disarm the victims of antisemitism particularly as the call for a moratorium is without qualification. It sounds like a positive thing to do but would only work if there was was commitment from the leadership by example to be open and transparent. But there is no evidence of this to date. 7. The failure to publish the Royall report in full or the NOLS report into the Oxford University Labour Club again go to the issue of transparency. 8. The section on Zionism and Zionist is open to the challenge in that it employs gross simplifications of the beliefs of strictly orthodox Jews and young Jews. For example whilst it is true many Haredim do not consider themselves ideologically Zionist most are passionately concerned with the well being of the State of Israel and can be quite conservative in attitudes to defence and the peace process. This is a nuance that will be missed by readers. Gaza is referred to as under bombardment – it’s unclear if this is a permanent state of affairs and certainly doesnt allow for any notion of rocket attack going the other way. It’s an odd deployment of language in a report which seems otherwise to avoid a historical or contemporary analysis of Israeli- Palestinian relations. In summary whilst there is much to be commended in the report the bar has been set very low as to what is unacceptable and the real issues of concern haven’t really been addressed. Curiously the recommendations all seem to have been foreshadowed by published comments much to the same effect made by chair of Momentum Jon Lansman – eg about avoiding debates around Zionism and use of Zio. That isn’t to knock their utility but does give an insight into possible provenance and thinking behind the report. Finally on the meeting itself the role of the leader and the choreography of the event and the defence of the leader the next day by Chakrabati on the Today programme have reinforced the concerns expressed above. NB: this post was substantially drafted prior to the Home Affairs Select Committee hearing save for the addition of points 7 and 8 which I had run out of time to previously add. The hearing gives rise to a number of other points which I would like to address on another occasion. and other forms of racism in the Labour Party was released to the public in the Houses of Parliament. The release of the Chakrabarti report should have been an opportunity to heal wounds and end divisions between Jews and Jeremy Corbyn’s Labour Party. It should have been and could have been the moment when Corbyn, already under fire from the parliamentary Labour Party, could have healed at least his rift with the Jews. It could have been, it should have been, but it was not. To assume that a Jewish friend or fellow member is wealthy, part of some kind of financial or media conspiracy, or takes a particular position on politics in general, or on Israel and Palestine in particular, is just wrong. After saying the above and then hearing one of his own MPs insulted in precisely the way he had just stated categorically was unacceptable one would expect Corbyn to step in and give a clear rebuke to Wadsworth. Swift and very public action on Corbyn’s part would certainly have shown he was serious about implementing the recommendations of the report and sticking by the words he had just spoken. He did nothing of the sort. In fact he did nothing at all. To just stand by while one of his own Jewish MPs is accused of being part of a media conspiracy is shocking. That Corbyn would then go on to have a jovial conversation with the very man who had made such an accusation without offering a reprimand or any kind of opprobrium is bizarre, that he then made it clear that they would be in touch later by text message adds insult to injury is beyond belief. But this is precisely what happened in a moment caught on video and posted to youtube. A closer reading of Corbyn’s speech means we shouldn’t be surprised. Our Jewish friends are no more responsible for the actions of Israel or the Netanyahu government than our Muslim friends are for those of various self-styled Islamic states or organisations. Jeremy Corbyn’s comparison of the State of Israel to ISIS is demonisation of the highest order, an outrage and unacceptable. That this occurred at the launch of the report into the Labour Party’s recent troubles with antisemitism shows how deep the sickness is in parts of left of British politics today. The Corbyn team later apologised to the Israeli ambassador but the damage was done. Furthermore his comments were not made off the cuff they were made as part of a prepared speech and vetted by his team. He made the “mistake” of saying what he really thinks. No one should be expected either to condemn or defend the actions of foreign powers on account of their faith or race. At the same time, we should have the sensitivity to understand how upset many Labour party members and supporters are likely to feel about various human rights abuses around the world. Bear in mind that this was said during a speech about antisemitism at the launch of a report into antisemitism in the Labour Party and how to stamp it out. What are Jews meant to take from this statement other than that anyone who defends Israel should be sympathetic to the abuse they face from Labour Party members bearing in mind “how upset many Labour party members and supporters” get? It is precisely the linkage between caring about human rights and being antisemitic against Jews in the UK that Jews took issue with in the first place. The idea that being antisemitic is okay as long as Israel is involved in the argument is precisely the nonsense that Corbyn and Chakrabarti are supposed to be challenging. Instead the message to Jews is that they shouldn’t be defending Israel in the first place as it is akin to the Islamic State and that should they receive abuse back it is because their defence of Israel rightly made people so upset that any antisemitism is to be excused. But the sad truth is that if this is something new it is only a new episode of the same phenomenon that has already been happening for a very long time. Too much has been written about the antisemitism of the left, particularly the British left, for the Jewish community to feel that more understanding is needed. If you don’t get it by now it’s because you don’t want to get it and Jeremy Corbyn clearly doesn’t want to get it. The release of the Chakrabarti report into antisemitism in the Labour Party and Corbyn’s response to it was supposed to be an opportunity for Corbyn to draw a line under a great deal of antisemitic unpleasantness from within the Labour Party instead it exposed the real Jeremy Corbyn and not that “decent” politician people were once harping on about. 2. Contemporary anti-Zionism as described above is antisemitic. It applies double standards to the world’s only Jewish state in order to demonise and delegitimize it so as to justify its removal from the community of nations. It also often transfers classic antisemitic notions about alleged Jewish power and malice to the state of Israel alone of all countries in the world. This is inevitably painful for most British Jews, the overwhelming majority of whom have an affinity with Israel and the Zionist project, so much so that Israel and Zionism are a key aspect of contemporary Jewish identity in the UK, broadly comparable to the place of the Irish Republic in the identity of Irish Americans. Accordingly, the majority of British Jews assume a certain obligation to support Israel and to ensure its survival as the ancestral homeland of the Jewish people. This does not equate to unconditional or unstinting support for any particular Israeli government and its policies. Rather, it amounts to a sense of connection with, or an affiliation to, modern Israel, as well as a sense of the country’s importance against the background of historic Jewish ties to the land, the persecution of Jews over the ages, and the renewed opportunity since 1922 (with the creation of British Palestine as the Jewish National Home) and especially since 1948 (with the formation of the state of Israel) for Jewish self-determination and cultural flourishing. For these reasons, left-wing hostility to Israel engages Jews not only in conventional political terms but also seeks to undermine a perfectly respectable core aspect of their identity. Nor is the existence of a small group of Jews who are hostile to Israel and Zionism evidence for the proposition that an attachment to Israel is not an important aspect of contemporary Jewish identity, for such Jews are either marginal or non-normative or, paradoxically, the form that their attachment to Israel takes is in their hostility to Israel and Zionism. These two points are vital to understanding antisemitism in the modern Labour Party, for the grossly inaccurate discourse about Israel that they entail seems endemic to large sections of the Party at present, especially since Jeremy Corbyn became leader. The general demonization of Israel that results inevitably creates a permissive environment in which outrageous statements about Israel or Israeli Jews – or indeed Diaspora Jews with links to Israel – can be made by individual Party members. It may well be appropriate to take disciplinary action against such members, but the real problem lies in the prior permissive environment and its anti-Israel discourse. Without tackling the latter head on, indeed, the Labour Party will not in our view be able to deal thoroughly or successfully with the problem of antisemitism that is currently in its midst. Every year, the placards come out, Hezbollah flags are raised and calls for Israel’s destruction fill the air. Every year, these crowds go unopposed. On Sunday, for the first time since the annual, state-sponsored vilification of Israel began on the streets of the UK’s capital city a decade ago, hundreds people will gather take a stand against the ever-growing miasma of unfettered hatred and show their support for the state of Israel. With every Al-Quds Day rally the levels of incitement and calls for Israel’s have increased, and with it, the levels of antisemitism. This time, three grassroots organizations – Sussex Friends of Israel, the Israel Advocacy Movement and the Zionist Federation – have taken to social media with videos, posters, Facebook links, Twitter feeds and word-of-mouth to spread the word that the hatred gripping Europe, the UK and around the world – particularly emanating from Islamist groups claiming credit for atrocities seemingly on a daily basis – cannot go unanswered. No one denies how deep – or how organised – this hatred runs. The Al-Quds Day rally is organized by the Islamic Human Rights Commission (IHRC). This year it will end in front of the US Embassy at Grosvenor Square. Throughout the day, pro-peace and pro-Israel supporters will see hundreds waving Hamas, ISIS and Hezbollah flags, which IHRC has failed to condemn. In the UK, Hamas and ISIS are designated terrorist organizations, while only Hezbollah’s “military wing” comes under that rubric. It is simply wrong that the flag of a prescribed terrorist organization credited with deadly attacks against the citizens of Israel should be allowed to be flown on the streets of London. Hezbollah’s political wing and Hezbollah military wing are one and the same. Both are committed to the destruction of the Jewish state. Their terror campaigns are often fuelled by a deeply antisemitic ideology which has been widely documented. Moreover, this is not just a political campaign of hate against the State of Israel but a concerted attack on Jewish communities across the globe. It is also manifestly illegal. Although British law, in line with the Human Rights Act 1998, allows for freedom of speech and the right to demonstrate, the law is equally clear on racial and religious hatred. Those who will be gathering under the ‘Stop The Hate – Stand With Israel’ banner believe that under The Racial and Religious Hatred Act 2006, many at the Al-Quds march – and arguably the march itself – falls foul of this legislation. As in years past, its tone and rhetoric will be used to incite hatred against the Jewish people. This year we, we refuse to allow this incitement to go unchallenged. Speakers will include Hillel Neuer, executive director of UN Watch, MP Matthew Offord, and representatives from a cross-section of the organized British Jewish community, including Jonathan Arkush, president of the Board of Deputies of British Jews, Simon Johnson, chief executive of the Jewish Leadership Council and Paul Charney, chairman of the Zionist Federation of Great Britain. Robust arrangements have been made with the Metropolitan Police and the Community Security Trust that we will be able to demonstrate peacefully. There is no clearer moment for us to shake off the paralyzing fear that ripples throughout our community with each atrocity, each act of brutalizing hatred that metastasizes into racism, xenophobia and antisemitism and insinuating its way into public attitudes and discourse. And there is no more suitable place to start a campaign than by targeting groups for whom incitement is a firm ideological plank in their political platform. Hezbollah is a terrorist organization. No amount of political correctness by the British government will deflect that. It should and must be placed on the EU list of proscribed terrorist organizations – not one part, but all of it. Maybe, just maybe, by turning up in numbers we’ll be able to drive that message home and show our unconditional support for the Jewish state. At he very least we’ll show this year, it won’t be business as usual. Winston Pickett is former director of the European Institute for the Study of Contemporary Antisemitism and a founding member of Sussex Friends of Israel. • to ensure that the party is a welcoming environment. There is a world of difference between the sort of anti-zionism that protests Israeli Government policies or the occupation of the West Bank and existential anti-zionism. Existential anti-zionsim denies the legitimacy of Israel and insists that Zionism is a form of racism. The former is a reasonable position, the latter is a cause of the political hostility that we now see in the Party towards those Jews who hold to the mainstream communal opinion. It is extremely unfortunate that the current conflict over the legitimacy of Israel and definitions of antisemitism threatens to be a defining battle within the Party’s larger left-right war. It is already established as a defining left-right issue within the youth wings. A good row, with all its rough, tumble and rancour, is well within Labour’s traditions. This is not one of those healthy rows. We seem to be heading for embedded and lasting intolerance to difference and that will make us an uninhabitable space for dissenters. The Party as a whole – the members and the machine alike – needs to become a tolerant party that can cope with different opinions. We should aim to become a party in which free and fair debate about the Palestine/Israel conflict is perfectly possible. Being a Zionist would not be out of bounds in a tolerant party, and members within a tolerant party would be comfortable to campaign against the Israeli Government and the occupation of the West Bank. When members complain of Jew baiting and the mobilisation of antisemitic tropes then a tolerant party assumes they speak in good faith. A tolerant party assumes they are not dissembling to protect Israel. We are a long way off such a state. It is hard to be a Zionist in today’s party and it shouldn’t be. Properly managed, this crisis might prove to be a blessing. Cleaning up the Party so it becomes tolerant and welcoming to Jews who share the dominant communal attitude to Israel could be a collaborative and unifying process. (Latest figures show that 93% of UK Jews see Israel as important to them.) Handled properly, the cleaning up process could allow activists and leaders of the left and the right to build trust, tolerance and to find a way to co-exist. The current problem in the Party is not caused by a few over- excited, misguided, loose-tongued, foolish or ignorant people. It is not caused by people who are motivated by hostility to Jews nor by most of those Party members who see themselves as anti-zionists and who want to see a Palestinian state alongside Israel. It is not caused by dissembling Jews. The problem is rooted in the growth in popularity of a particular strand of anti-zionism – existential anti-zionism. In today’s Party, existential anti-zionism runs alongside a form of antisemitism-denial which insists that Zionist Jews deliberately and dishonestly use the charge of antisemitism to silence criticism of Israel. Existential anti-zionism frames Israel as a settler, racist, illegitimate state; it considers Zionism to be a racist ideology and it considers Zionists to be racists who are not welcome in the party. (The anatomy of existential anti-zionism is at appendix one.) Existential anti-zionism has its own gurus (including the discredited writers of history, Lenni Brenner and Roland Rance), its own language, its own codes, its own buzz words; and it mobilises anti-Jewish motifs and legends for use against Zionists. 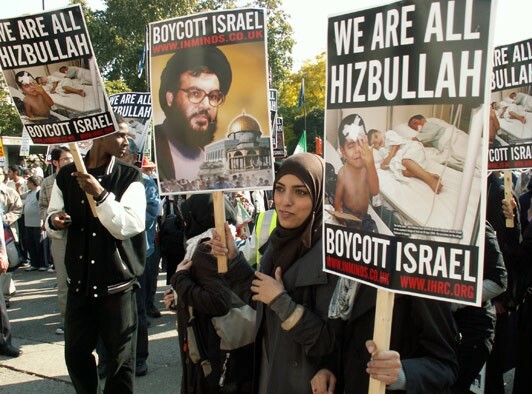 Existential anti-zionists are driven; they behave much like the entryists of the 80’s: they go hunting; and since most UK Zionists are Jews and most Jews are Zionists, Jews are their targets. The existential anti-zionists hound Jews in ways which they themselves would call racist if any other minority were involved. And so, once an existential anti-zionist defines a fellow party member as a Zionist then the trouble begins for him or her. After all, so their argument goes, we don’t treat racists well and we certainly don’t want them in the Party: hence a Zionist is fair game for baiting, aggression and marginalisation. To the existential anti-zionist, both the Zionist and Zionism should be removed from the social democratic consensus. Fired by this self-ascribed moral authority, existential anti-zionism crusades with shrill and self-righteous aggression. Non-Jewish Zionists tend not to be the focus of this aggression and baiting. As most Jews are Zionists and as most UK Zionists are Jews then existential anti-zionism tends to target those Jews who share the dominant communal attitude to Israel. The trouble gets worse because existential anti-zionism deploys antisemitic tropes that non-Jews are unlikely to understand. It baits Jews. See below the cartoon from the Palestine Solidarity Campaign, a campaign which is financed by Labour activists and trade union affiliations. This image, in beautiful and arresting colours, tells us that the Israelis are trying to sell you food to eat which is made with the blood of Palestinian children. Most reasonable people can feel the cartoon’s hostility, but not many non-Jews will feel the bite that comes with knowing it is a mobilisation of the blood libel. It would be surprising if more than a tiny percentage of the UK population even knows about the blood libel. It is mobilised time and time again in existential anti-zionist materials. It is a dog whistle; it baits Jews. And so, when Jews respond negatively to the dog whistle it is easy for existential anti-zionists to paint the objections as a whinge, obscurantist, or more importantly, as cover to protect Israel’s occupation of the West Bank. So, thank God for Livingstone’s loose tongue. Livingstone mobilised a favourite device of existential anti-zionism – the conflation of Hitler’s desire to rid Europe’s social, cultural, political and economic life of Jews with the politics of Jewish nationalism and the desire for a Jewish homeland. Livingstone was understood by reasonable people to be offering a hostile and disingenuous interpretation of a defining feature of the 20th century. It wasn’t the usual existential anti-zionist dog-whistle; it was fully audible to every reasonable listener. Ken confirmed on national TV what some party members have reckoned on for a long time: he baits Jews. He and the other existential anti-zionists reshape historiography into a narrative that sits between argument and abuse and gets right to the insecurities of most Jews. Existential anti-zionism is a significant threat to the tolerant party because it could catch on and become the dominant way of thinking. It is attractive, with its smart bon mots and catchphrases that guarantee a reaction and reward the belligerent with an anti-hegemonic frisson. It feels radical and it feels like a courageous blow against the status quo. We shouldn’t underestimate the enjoyment which some people gain from legitimised hatred of Jews when those Jews are framed as racists. Existential anti-zionism provides an alibi and excuse for something very dark – the pleasures of intolerance and hating those who we regard as wrongdoers. Watered down existential anti-zionism gets everywhere and before we know it the Oxford Labour Club is singing bonding-songs that celebrate the bombing of Israeli civilians – indeed such Jew baiting seems to have been an important part of the Club’s culture. So casually, and one hopes through sloppy thinking rather than by design, civilian Israelis are re-categorised. No longer are they the Tel Aviv version of those ‘ordinary, hard-working families’ that Labour supports. They have become enemy agents active in the oppressor camp, supposedly undermining decent human values in the Middle East and hence fit objects for lethal attack. A clean up of the youth wings of the party is now urgent. It is in the nature of youth movements to take on an exaggerated expressions or caricatures of the parent body. If the politics of existential anti-zionism and its Jew baiting practices becomes dominant in the youth movement then a generation of party members, the future opinion formers and leaders, will be mis-educated and will create a Jew-free party. • Zionists have played an important role in the history of the party and we will make it our business to ensure they continue to do so: Zionists/mainstream Jews are welcome here. ‘Zionist’ is an unacceptable term of abuse. • Zionism was/is a reasonable nationalism which offered sanctuary and a political solution to European and Middle Eastern antisemitism. Israel was a life-raft state, both for European Jews and Middle Eastern Jews. There is room for argument about the advisability of Zionism as a response to the holocaust. But regardless of one’s thoughts on that issue, it needs to be made clear by the party leadership that the Zionists who created Israel were shaped by the murderous antisemitism in Europe and beyond. In the light of that, the party leadership needs to explain how horrifying the existential anti-zionist rhetoric of ‘settler-colonialist state’ is to the majority of Jews who are conscious of the history of Jewry in the 20th century. • Resolutions to the Middle East conflict should be based on a two states solution, one each for the two belligerent nations. Israel is a legitimate state and the party has no truck with those who seek to replace it with an Arab state. • It is outside the boundaries of acceptable behaviour for party members to demonise Zionism, to assume that Zionists are outside the social democratic or socialist consensus and so treat them as some kind of external enemy. This is unacceptable not simply because it negatively impacts on most Jews but critically because it is an unreasonable framing of Zionism: Zionism is a response to murderous antisemitism. • It is far outside the boundaries to use fascistic terms like, ‘zio’; to use concepts of Jewish power to explain foreign policy; and even in the cause of Palestinian rights it is out of bounds to mobilise anti-Israel imagery that is loaded with antisemitic tropes. • Zionism was/is not a reasonable response to antisemitism. Israel is necessarily an illegitimate state, because it is supposedly a colonial state; it forever will be so and therefore it should not exist. It insists that Israel must be dismantled. If necessary, (and it will be necessary, because Israelis will not agree to it), that dismantling will be against the will of the majority of its citizens. • The existential anti-zionist would commit the party to the forcible replacement of Israel with a state that Israelis don’t want to live in and would be unlikely to survive in. It would also commit us to support for clerical-fascist organisations that would enchain women and do appalling things to social and democratic rights in the space we now call Israel and the Occupied Territories. Labour would be far outside the 2nd International consensus and the global democratic consensus – which is for two states. It is best not to let that happen because mainstream Jews would leave the party quickly, and the Labour party would then be seen by many as a racist party. • Existential anti-zionism holds that Israel is also, and again necessarily, a racist state and so Zionists are necessarily racists too. Socialist Zionism is, for them, an oxymoron. Consequently, to the existential anti-zionist and to those imbibing such polluted water, Zionists (of the left and of the right) are definitionally not simply ‘wrong’ but ‘WRONG’ in capital letters: they are the enemy, racist, false-accusers of antisemitism, and so are suitable objects for the type of aggressive baiting that is not usually dished out to fellow party members. • It insists that the Zionist desire for a Jewish homeland where Jews can be safe from racist hatred is actually Jewish exclusivity; that Jews collaborated with the Nazis and sacrificed other Jews in order to achieve a state; that Jews take delight in murdering Palestinian children. • Existential anti-zionism identifies a special role for Jewish Zionists in the diaspora: they supposedly form a fifth column that is tasked with whitewashing Israel’s reputation by crying ‘antisemitism’ whenever Israel is criticised. • The only antisemitism which existential anti-zionists recognise is the antisemitism of Nazis and the right – the left itself is felt to be somehow thought to be immune, perhaps in virtue of its self-ascribed high moral standards. Sometimes it is held that the left is immune by definition, because the left is, by definition, antiracist.